In a medium saucepan, melt 4 tablespoons of butter with 2 tablespoons of olive oil over medium heat. Add the onion and cook until it softens and becomes translucent. 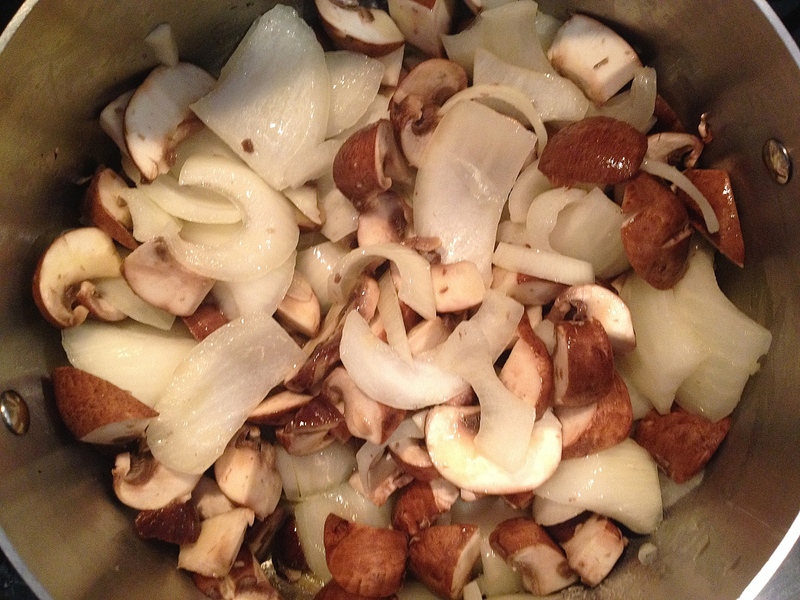 Then, add the mushrooms and chestnuts, cooking for about 7 minutes. Next, add the artichoke hearts, ginger and chicken stock. Stir and bring to a boil. Reduce the heat and simmer for 10 minutes. After cooling for several minutes, transfer the mixture to a blender and blend at high speed until smooth. Return the soup to the saucepan and add a few splashes of half and half to your desired consistency. Also season with salt and pepper. Bring the soup to a simmer again before serving. 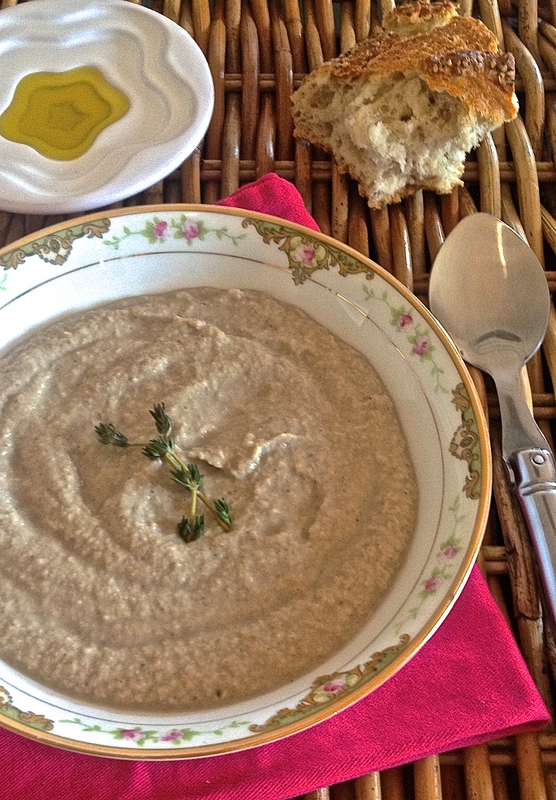 Garnish with sprigs of thyme and serve with some crusty bread and olive oil for dipping. Now that June is upon us, you are likely working on your gardens. Herb garden or flower garden? Hanging baskets or clay pots? In addition to using flowers to decorate your outdoor living space, consider bringing edible flowers into your kitchen to garnish dishes from main courses to desserts. 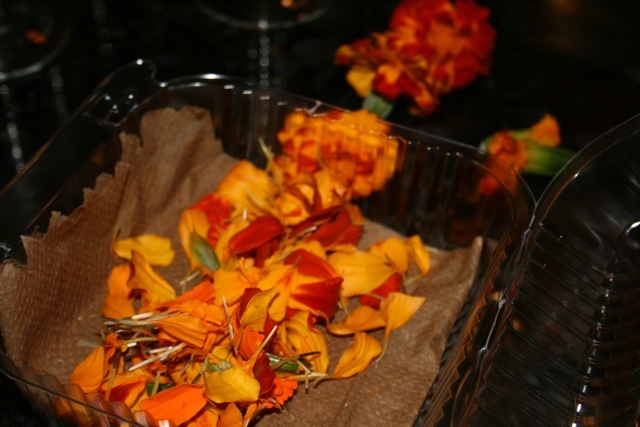 Try some nasturtium to brighten a salad or lavender to enhance the flavor of a dessert. One of my favorite ways to use edible flowers is to add them to a gnocchi brodo just as the ricotta gnocchi float to the top of a boiling chicken stock. 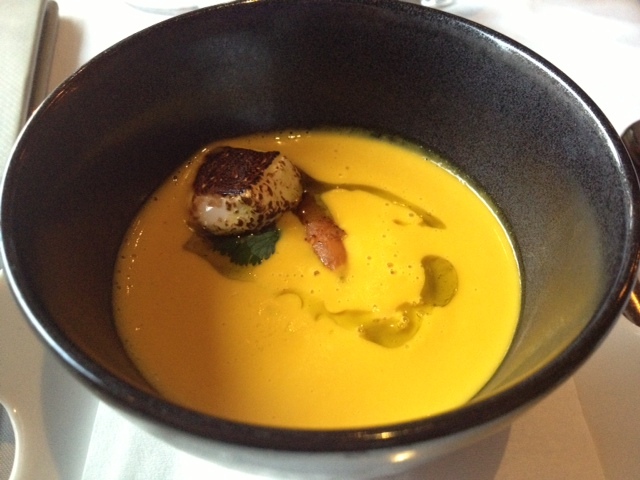 Marigolds and day lilies provide bright, warm colors and an interesting texture to this soup. I will have to wait until later this summer for my favorite garnish to a gnocchi brodo – zucchini blossoms. Simply slice the blossoms into strips and stir them into the brodo for their distinct flavor and color. 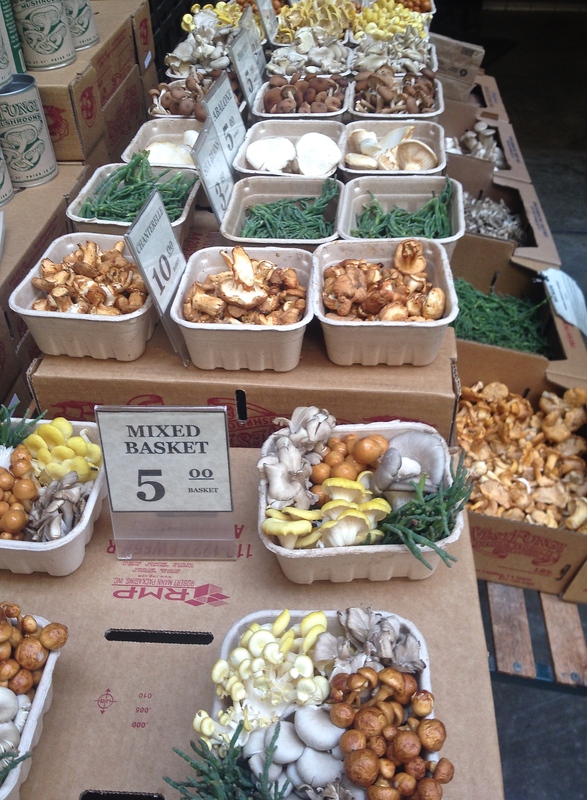 So, head to your local gourmet market for a package of edible flowers or, better yet, plant some of your own to have on hand for your summer cooking! I have finally gotten over my cold with the help of some soup. 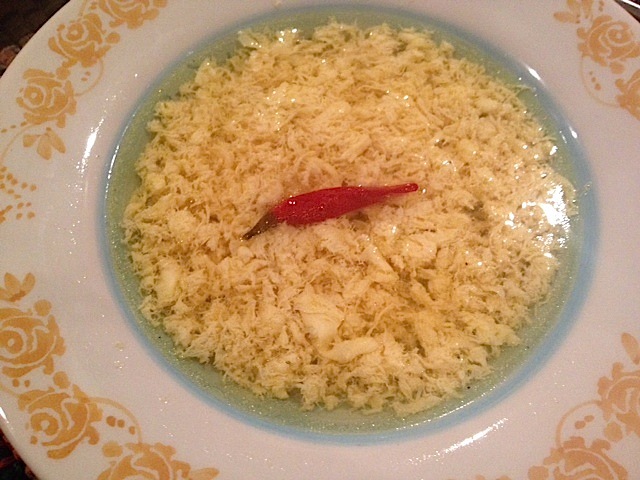 Not chicken soup, but egg drop soup. 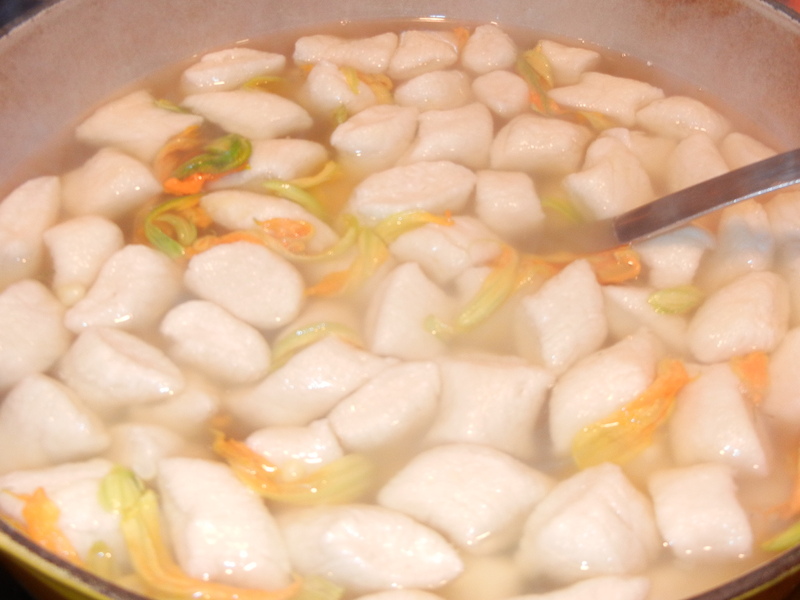 Below is my husband’s recipe – a variation on the traditional Chinese soup. In a saucepan, bring the desired number of cups of chicken stock to a boil. While the stock is coming to a boil, beat the eggs, using one egg for every two cups of stock. Then add a drizzle of sesame oil to the stock and stir. Pour the beaten eggs into the stock in a steady stream and whisk in a back and forth motion so that the eggs form flakes. Add black or white pepper to taste and remove the pan from the heat. You could top with chopped scallions, but for extra heat (and color) my husband added his own twist – a pickled chili pepper.